It’s fascinating to be old enough to see the “Zelda curse” play out with my own eyes. This curse that I refer to is the loud members of the fanbase declaring each new iteration in the series to be a disappointment, only to go back and laud them as one of the best as years go by. Think about it: how many fans were disappointed by Majora’s Mask? 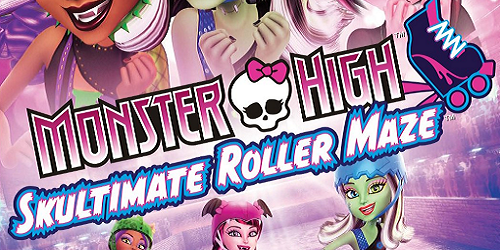 Now there’s a movement to get a 3DS remake of it, in the same vein as Ocarina of Time. Even now, Skyward Sword is under scrutiny for its motion control mechanics. 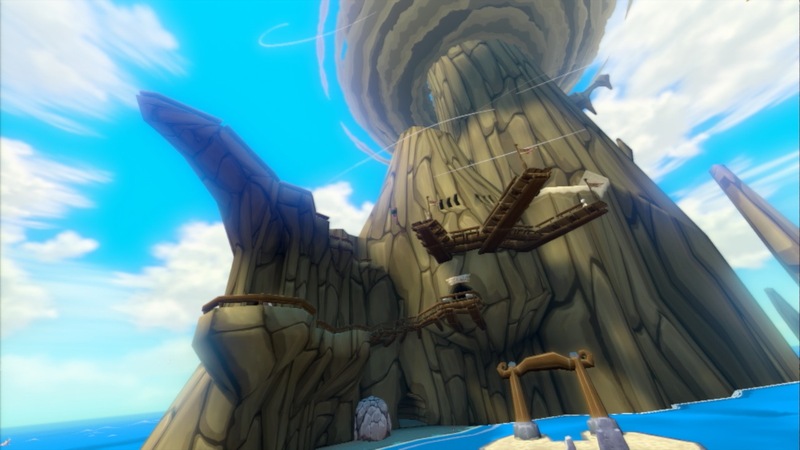 Despite the internet’s excitement for the HD remake, once upon a time Wind Waker caused a huge ruckus over its cel-shaded visuals. I will even admit to being one of those those doubting the viability of the visual change. But after actually playing it, it became one of my favorite Gamecube releases in short time. Ten years later, it’s still a fantastic game and manages to stay ahead of the curve, even by modern standards. At the time of its release, it wasn’t clear on where Wind Waker fit into the timeline, though now thanks to the release of Hyrule Historia, this is no longer a mystery (to which I recommend you check it out). Set hundreds of years after Ocarina of Time, the world is covered in ocean, with but a few scant islands that exist dividing the world’s people. The events of OoT are retold as legend, and as such, a ceremony is held when young boys come of age that demands they dress in the green tunic and hat worn by the hero of time. On the day of Link’s birthday, a bird carrying a young woman passes by overhead and inadvertently drops her into the dense forest below. Link heads up to the forest to investigate, only for the giant bird to return, claim his sister Aryll and carry her away. It’s at this point that Link joins a pirate crew to orchestrate her rescue, thus setting him down a path to become embroiled in events with much higher stakes. 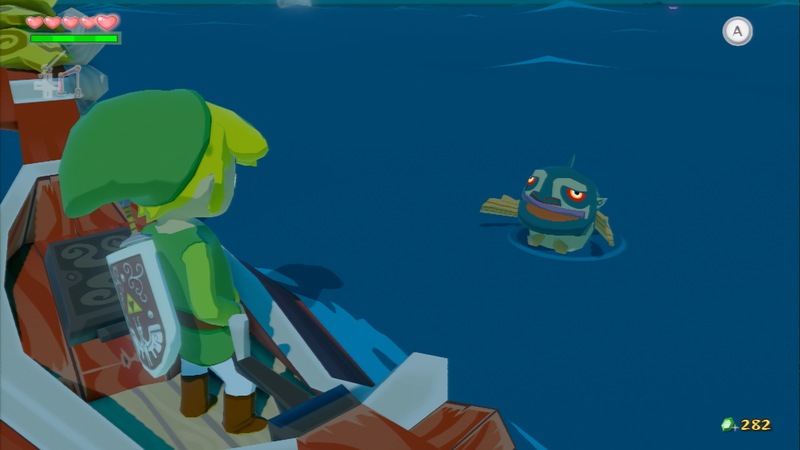 The story of Wind Waker always fascinated me, not only due to its setting and what became of the world in the century following OoT, but the controversial visuals actually gave Link far more personality than was possible before. He has more emotions than just “look of surprise” or “look of determination,” and still manages to convey all of this without speaking a word. Likewise, Ganon is more fleshed out as a character this time around, shedding more light on his motivations. 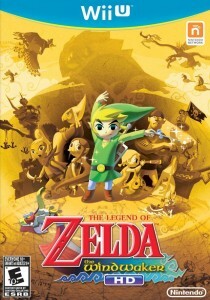 Despite the many liberties taken, both visually and with the world, at its core, this is still a Zelda game. You can play with either the Wii U Gamepad or the pro controller, though the former manages to be both comfortable and much more useful. 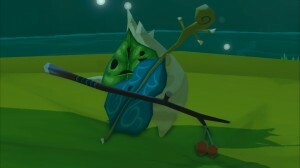 Your sword strikes are mapped to B, with all context sensitive actions set to A, including a counter attack function that was added to Wind Waker. Ducking and blocking are assigned to ZR, while ZL will fixate on your targets and lock-on to them. Nearly every other button is designated for items and can be switched around using the touchscreen on the fly, which makes managing Link’s inventory incredibly convenient. Other tweaks that make life easier: the Wind Waker is assigned to the directional pad when you get it, so it doesn’t have to be switched in each time. Some of the boat functionality, such as bombs and the grappling hook, are the same way. Like other Wii U titles, Wind Waker utilizes off-TV play as well as the built in gyroscope in the gamepad. When you use items such as the bow and arrow and the view switches to first-person, not only can you move while in this view, but the gyroscope can be used to aim. As much as I don’t like doing this, the right analog stick is far too twitchy to be precise. So long as you’re not trying to turn completely around with it, the gyroscope works well enough for the little that you’d need to view things from Link’s perspective. The main gimmick in Wind Waker is boat travel. Early on, you’ll meet a talking red sailboat known as the King of Red Lions who is your constant companion throughout the game (at least, when he can be). In the original release, you were at the mercy of which direction the wind was blowing in regards to where and how quickly you could travel. One of the major changes in the remake is the addition of the Swift Sail, which is an item that can be won from an auction immediately after the first dungeon that, when used, assures that the wind is always at your back. Not only that, but you travel twice as fast as you would normally. 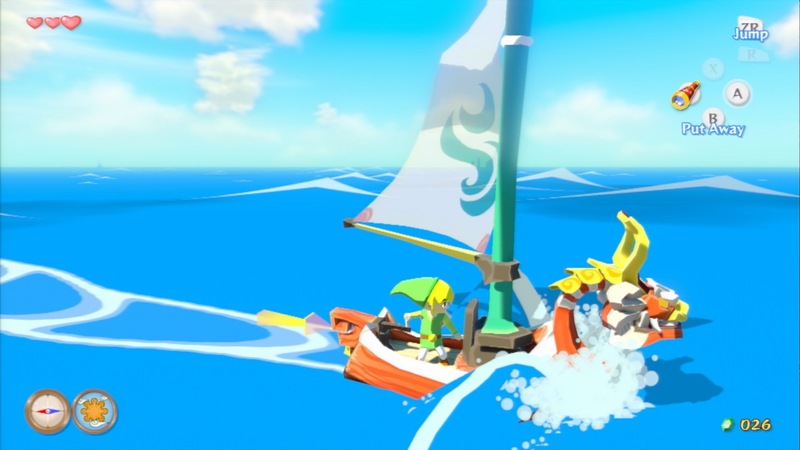 As much as I enjoyed the boat travel in the original game, this alone removes the tedium that comes from using the Wind Waker to change the direction of the wind each time. Due to the increased emphasis on ocean exploration, the amount of time spent in dungeons has been cut back. The ones that are there still exist in the traditional fashion, in that you must wander from room to room solving puzzles and defeating enemies until you locate the dungeon’s main item and the key that opens the door to the boss. Now, some of the important items needed to progress are located outside of dungeons, sometimes hidden away on the various islands you need to explore. Since there are less bosses too, there are now more pieces of heart to find than ever that need to be fished up from the ocean floor with aid from treasure charts. Many of the items that are carried over from prior Zelda titles have gotten some inventive improvements. Like its original Gamecube release, the boomerang allows Link to lock onto five targets at once before letting it fly, a tactic that’s necessary for completing some of the dungeon puzzles. Different types of arrows are switchable at the touch of a button when the item is equipped, and the iron boots can be mapped to a button like the OoT remake. Weapons dropped from enemies can be picked up and used against them too. The screen on your game pad gives you a look at the map at a glance, and you can zoom in on each segment whenever you please. Most of the map will be hidden until you feed the fish in each zone, though any tips given to you can be read again at any time without having to give them more bait, a feature that’s especially useful given the often vague nature of some of the late game goals. Treasure charts obtained are displayed right alongside the main map, with a small Link icon appearing when you’re close to your mark that makes it easy to see your proximity to finding it. Convenience is the name of the game here, and the added polish makes it so much more of a pleasure to play. 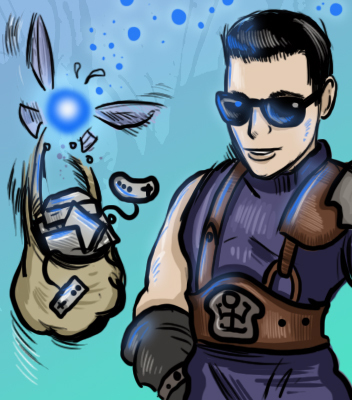 One major omission is the removal of the Tingle Tuner, which many might remember was the item that allowed for a Gameboy Advance to be connected to the Gamecube and be utilized as a map, or allow another player to drop bombs at the cost of the main player’s cash. In its place is the Tingle Bottle, an item that enables you to send pictures or messages to the Miiverse to be found by other players that may also be playing the game. As much as I despise the “always connected” future we are heading towards in gaming, this was actually a neat and amusing feature that serves as a more lighthearted version of what Demon’s Souls has done in the past. The camera item that you pick up can even be used to allow Link to take “selfies” featuring whatever expression you want. Some of the late game tedium has been cleaned up, as rather than searching for eight charts and their eight respective items, some of the charts have been replaced by said items outright, saving you the trek out to sea to fish them up yourself. 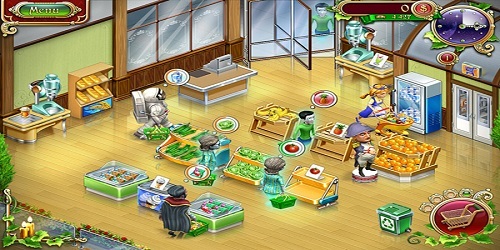 This also removes some of the grind that came with acquiring the money to have the charts examined for you. Still, no dungeons were added to this release, so if you were turned off by Wind Waker‘s focus on exploration before, this will not likely fix that for you. They also haven’t gotten rid of that annoying stealth sequence near the beginning, though given the short nature of it, it’s less of a design flaw and more of a personal annoyance. If I wanted to play a Zelda game with stealth mechanics, I’d fire up Beyond Good & Evil again, but that’s neither here nor there. If you found the original release to be a bit on the easy side, a Hero mode was added that can be accessed right from the beginning. It doubles the amount of damage taken as well as removing any life heart drops. You may begin a second quest (or a new game+ if you prefer that term) upon completion of the main game also. Now for the most obvious change: the game looks fantastic. I mean, yes, it looked great before, but the cel-shaded visuals show through much better than they did previously. Colors are more vibrant, and unlike most updates, you never once get the impression that the game was made over a generation ago, as it looks right at home on the Wii U. Likewise, the sound quality has vastly improved. 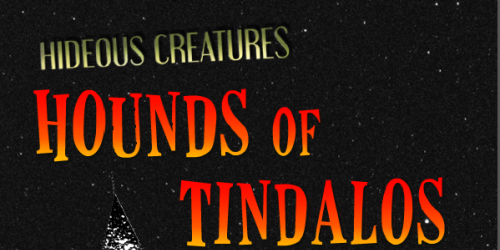 The soundtrack is a healthy mix of tracks both old and new, with some of the returning stuff being redone slightly. The presentation as a whole is a huge treat. The Legend of Zelda: The Wind Waker HD sails its way onto the Wii U, making itself into the definitive version of the game to play. The presentation is top notch, and the Swift Sail makes the traveling less of a chore and more of an invitation to explore. Miiverse integration makes for a welcome addition and while I would have preferred a retooled version of the Tingle Tuner, it was certainly not worth keeping in its current form. Hero mode provides replay value beyond the core game, though there’s plenty to see and do even without it. 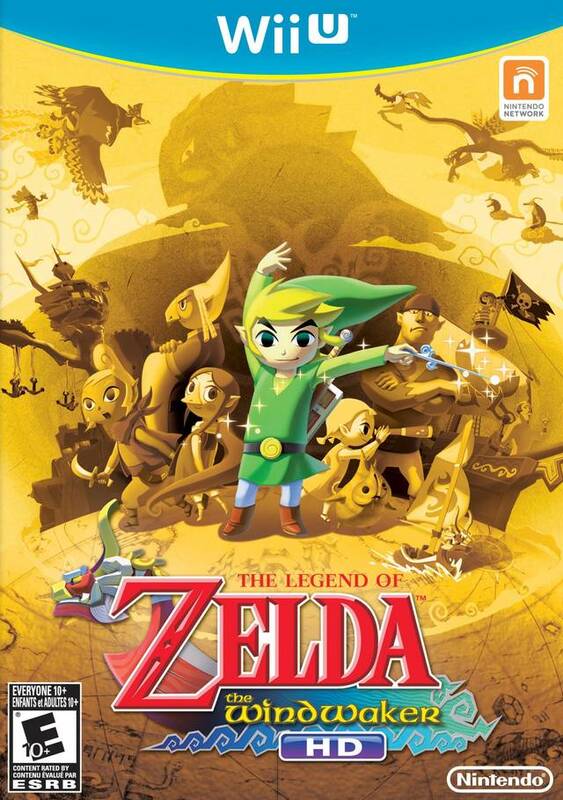 If you haven’t indulged yourself in Wind Waker yet, this is the version to do it with. “you never once get the impression that the game was made over a generation ago, as it looks right at home on the Wii U.” Not sure if the original Wii being more or less a Gamecube with a new controller added to that perception. I for one hated the new look for Link in Wind Waker, and that kid with snot dribbling from his nose…and I still do. Everything else looked and looks great, though. A really good game.